1. 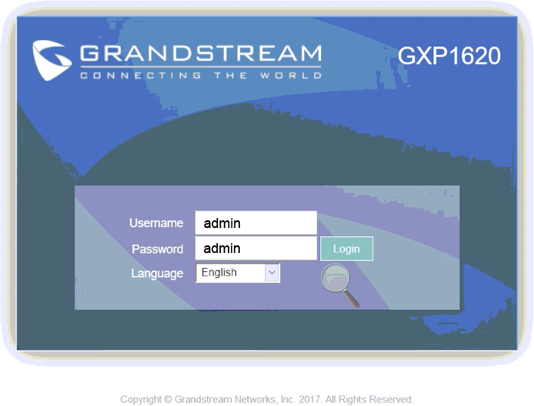 Once you've powered on your Grandstream GXP1620 and connected it to your network, find the phone's IP address by pressing the round menu button, open the Status Menu and then Network Status. 3. You should then get the phone's web login page, the default username is "admin" and password is "admin". 4. Hover over ACCOUNTS, a mouseover menu will appear, hover over Account 1 and then click General Settings. 6. Click Save and Apply. 7. Back on the Status Page, Account 1 should now show SIP Registration Yes, showing that the phone is now connected. 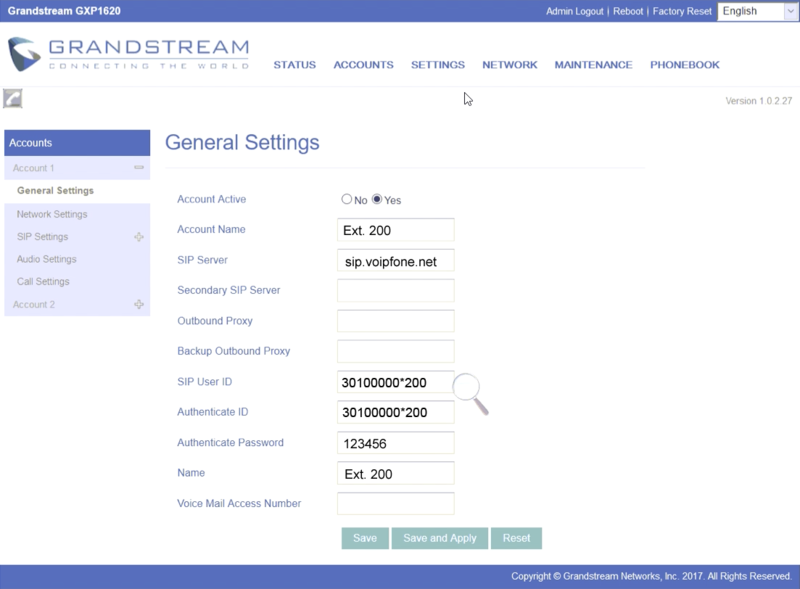 Please Note: These are basic account settings for getting your Grandstream GXP1620 registered and does not include security settings for your phone or your network, or settings that would be personal preference. For more information please contact your IT support team or the hardware manufacturer.